A MAN was punched in the face during an attempted robbery in the Bruntsfield area in the early hours of Thursday. The incident took place near the junction of Whitehouse Loan and Warrender Park Crescent around 1:30am on Thursday. A 27-year-old man was approached from behind by two men, who had been walking south on a path across Bruntsfield Links adjacent to Whitehouse Loan. One of the men then grabbed the victim while the other demanded his personal belongings. The victim refused and a struggle ensued, before he was punched in the face. Shortly after, the men fled back across Bruntsfield Links towards Barclary Terrace or Glengyle Terrace. 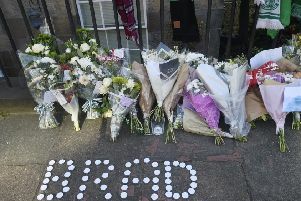 The victim has later attended the Edinburgh Royal Infirmary where he received treatment for minor facial injuries. The first suspect is described as white, 18 - 22 years old, 5ft 9ins tall, of medium build, with short dark hair and wearing a blue quilted jacket with the hood up. The second suspect is described as white, 18 - 22 years old, 5ft 9ins tall, of medium build, with blonde hair and wearing a dark-coloured quilted jacket. Detective Constable Jo Robertson of Gayfield CID said: “The victim was just making his way home when he was attacked by two men and our enquiries continue to trace those responsible for this. Anyone with information can contact Police Scotland on 101, quoting incident number 0196 of 14th December, or report this anonymously to Crimestoppers on 0800 555 111.